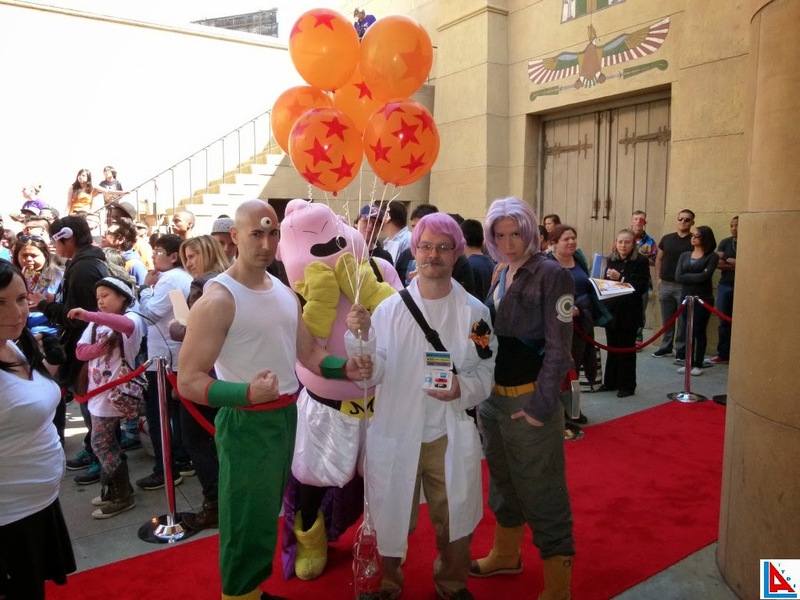 Our video coverage from the Dragon Ball Z: Resurrection F World Premiere and more! 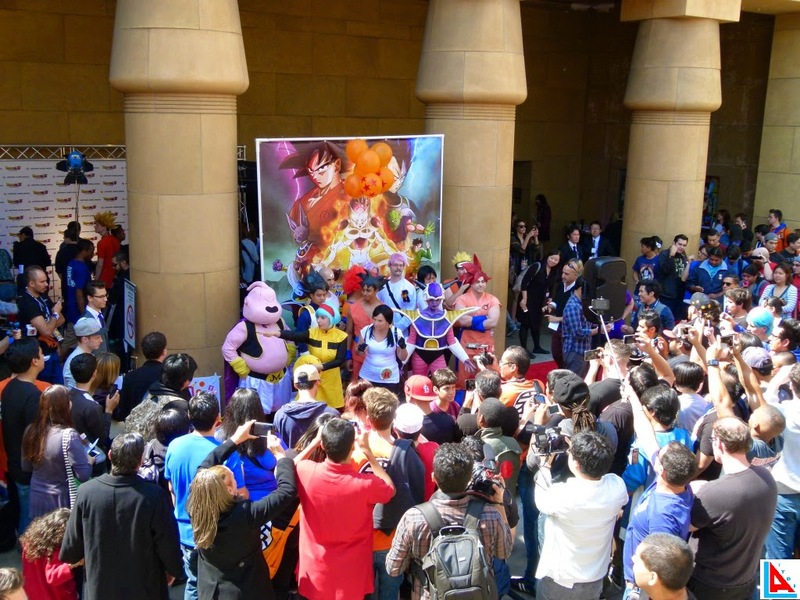 "Goku is everyone's friend," Masako Nozawa, the Japanese voice actress of Goku said to the audience at the world premiere of Dragon Ball Z: Resurrection F. She was joined by Sean Schemmel, the American voice of Goku, who told the audience, "They're bringing it to a level well beyond 9,000," on describing the latest feature film. 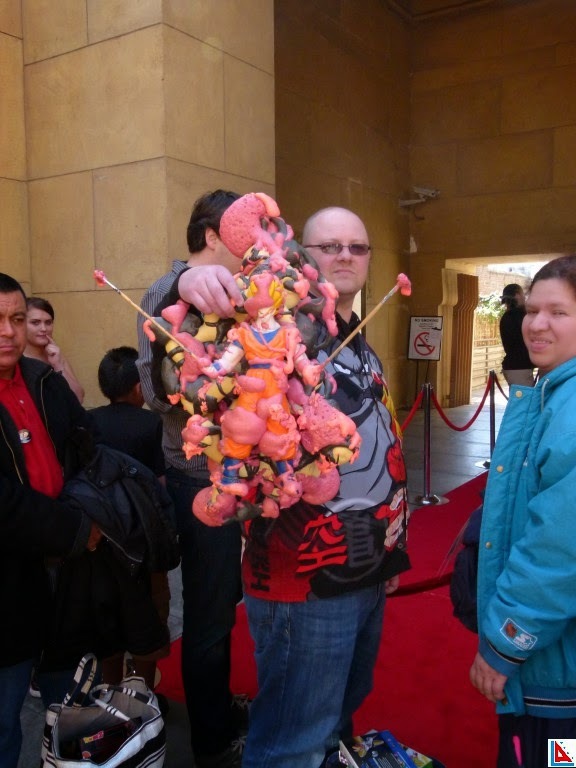 Hollywood was colored orange and blue as hundreds of fans showed up in Dragon Ball t-shirts and gear for the world premiere of Dragon Ball Z: Resurrection F at the Egyptian Theatre, April 11, 2015. 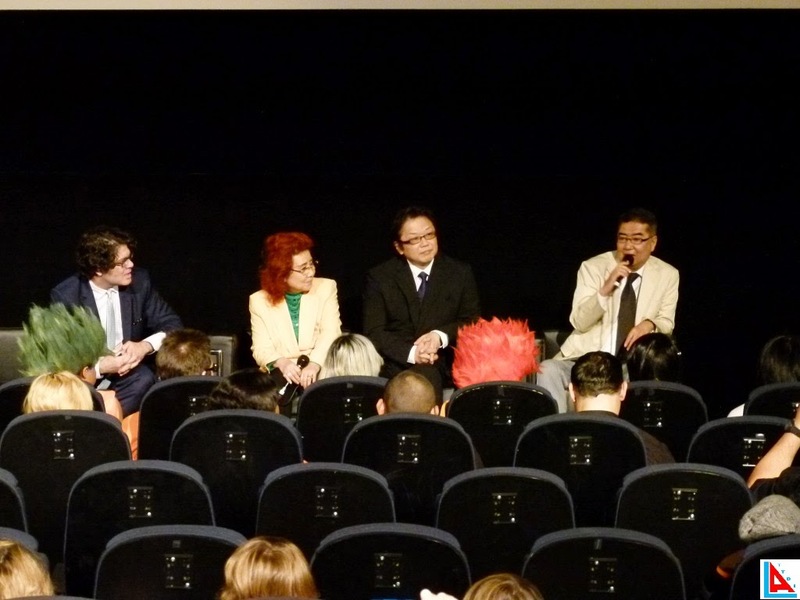 FUNimation, Toei and 20th Century Fox brought the premiere to Hollywood with some special guests including the director Tadayoshi Yamamuro and producer Norihiro Hayaashida. 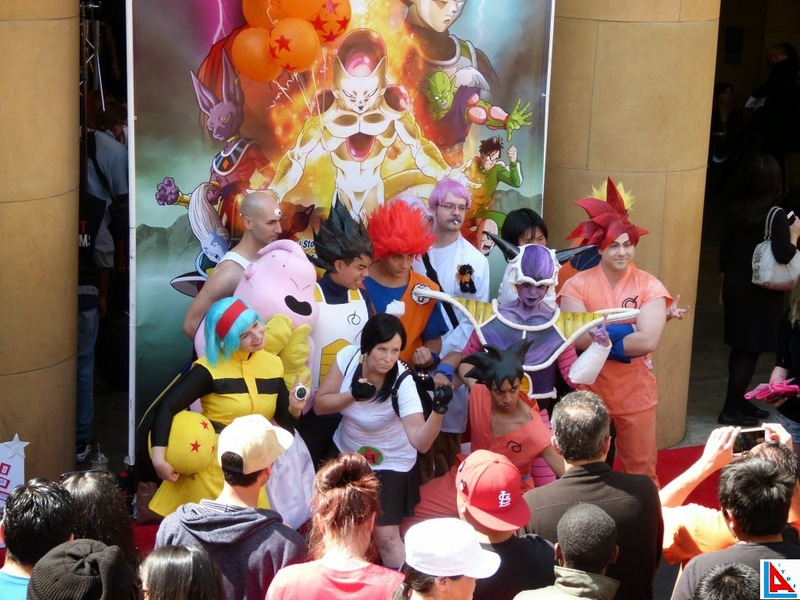 The premiere surprisingly was held in the U.S.A., the first time for a Dragon Ball film and well before Japan got to see it. 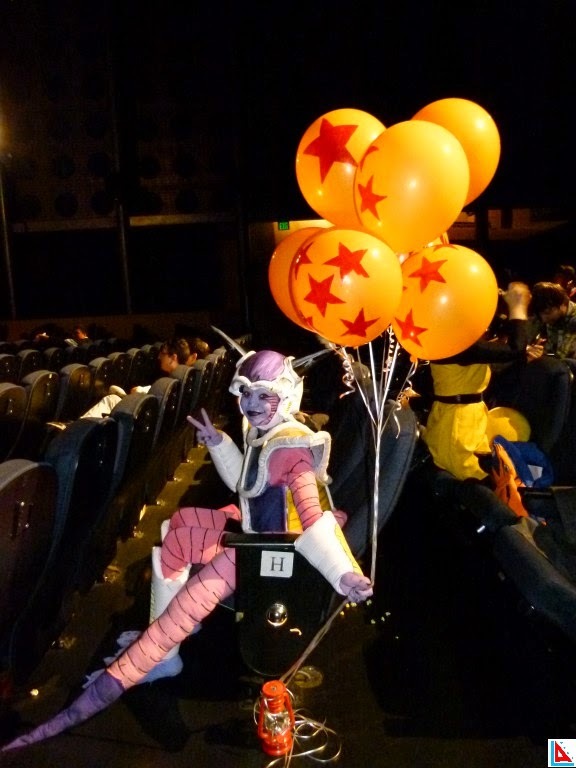 Before fans got to see the brand new film where their hero Goku faced off against fan-favorite adversary Frieza once again they were invited to a fan event. 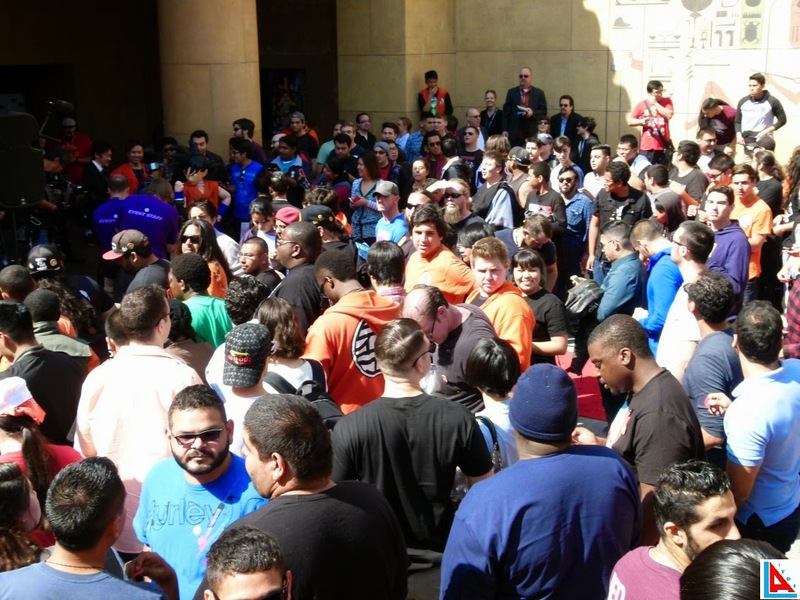 Fans could win prizes from the likes of Bandai Namco who donated games with other sponsors, who gave toys and shirts. 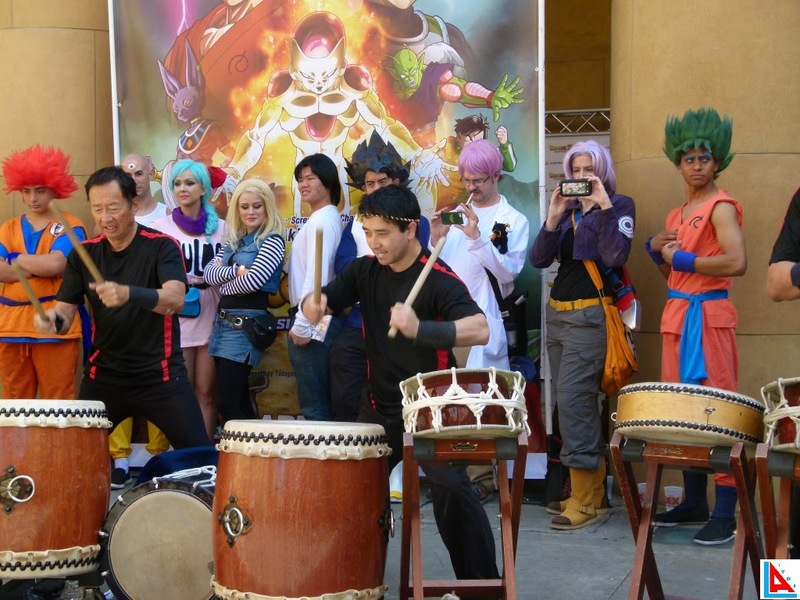 Everyone came together to lend their energy for a Spirit Bomb, by holding their arms up in their air, or shooting Kamehameha togethers, both energy attacks from the series. 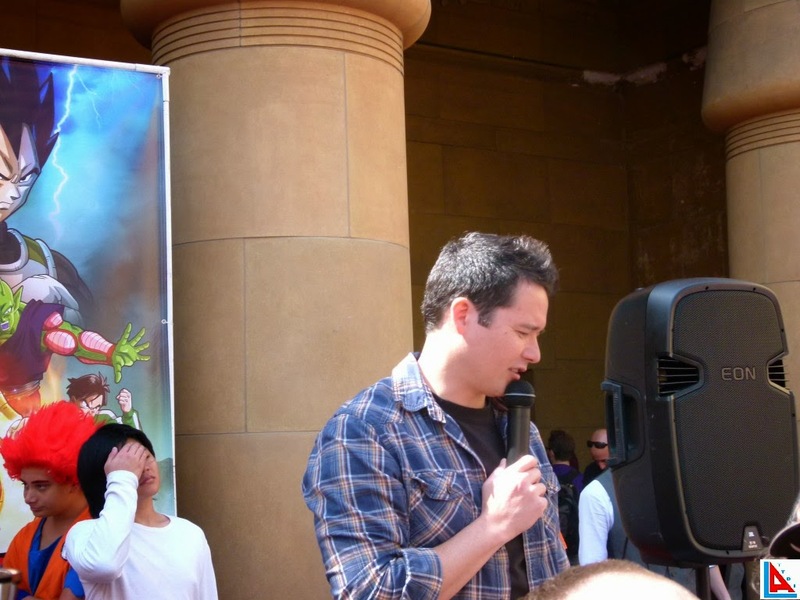 They shouted out, "Dragon Ball Z!," when host Johnny Yong Bosch asked them to. 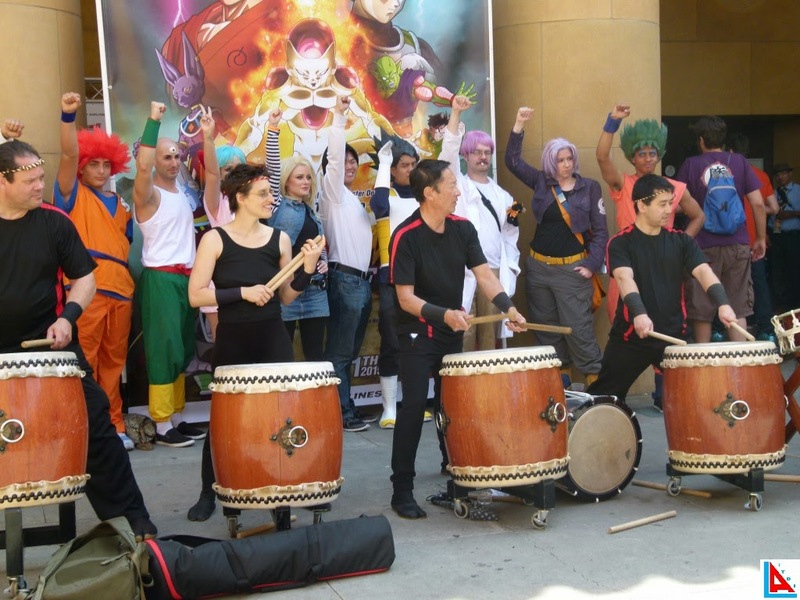 Cosplayers dressed like Goku and Frieza stood out and in front of the crowd. 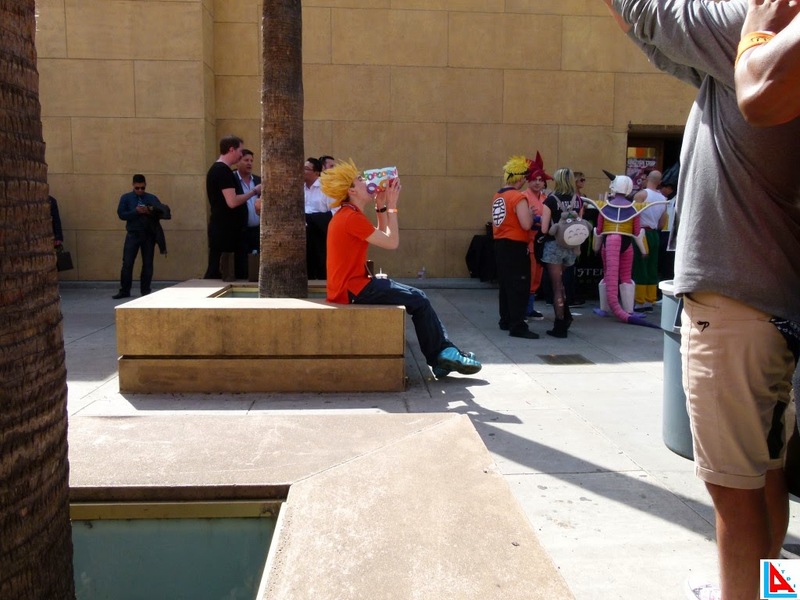 The posed with other Dragon Ball cosplayers for some fight pose pictures. 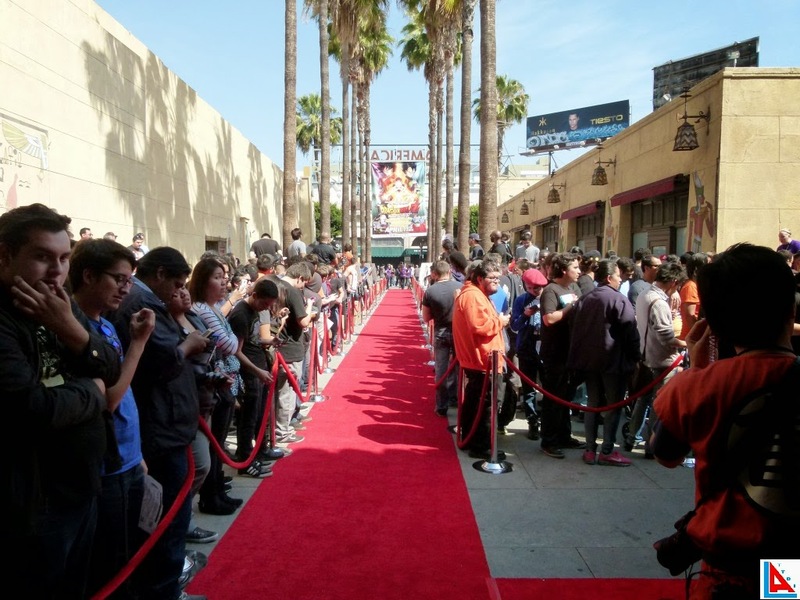 After a red carpet and a long line fans were given the first look at the film. Will have a full review shortly. 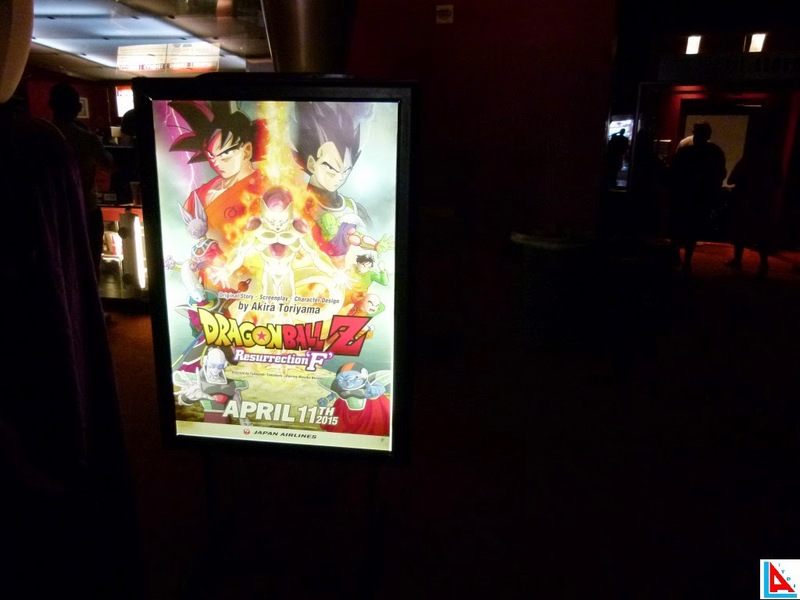 We do have the say, with a big group of DBZ fans, there's no better place to catch a new Dragon Ball film. The Q & A after had to be cut short and only allowed for one question. 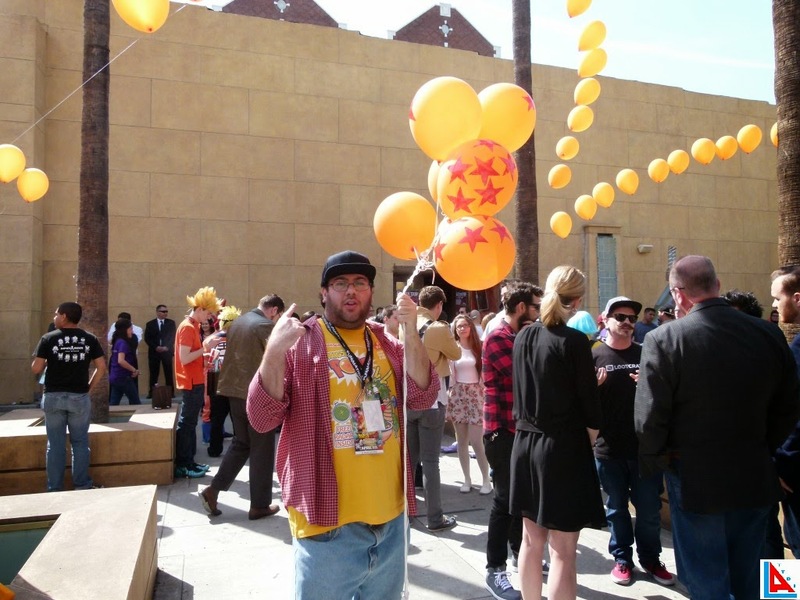 A question asked by Mega 64's Rocco Botte on why Goku was such a iconic character. Many in the audience found the question a terrible question to ask with boos and slight hisses. 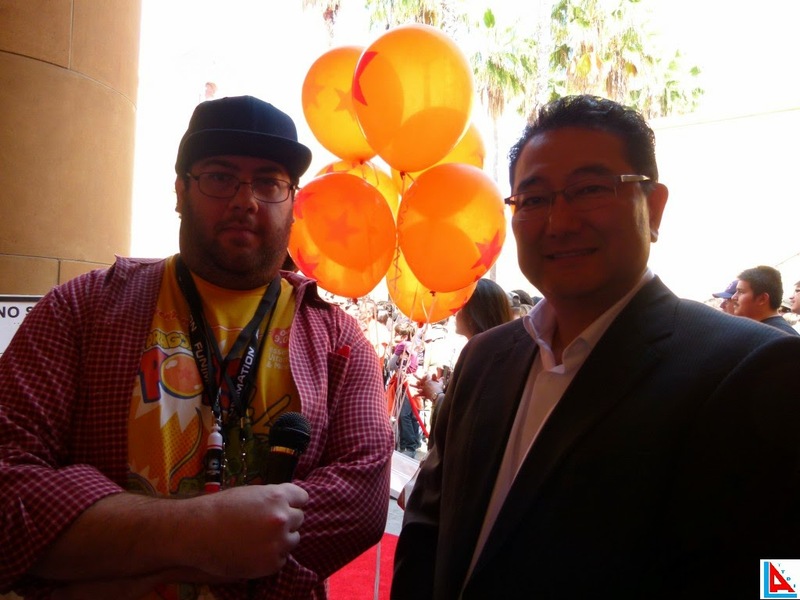 Masako and Sean, both voices of Goku gave their answers above, that felt like an understanding of English was missing. Fans still cheered them on. 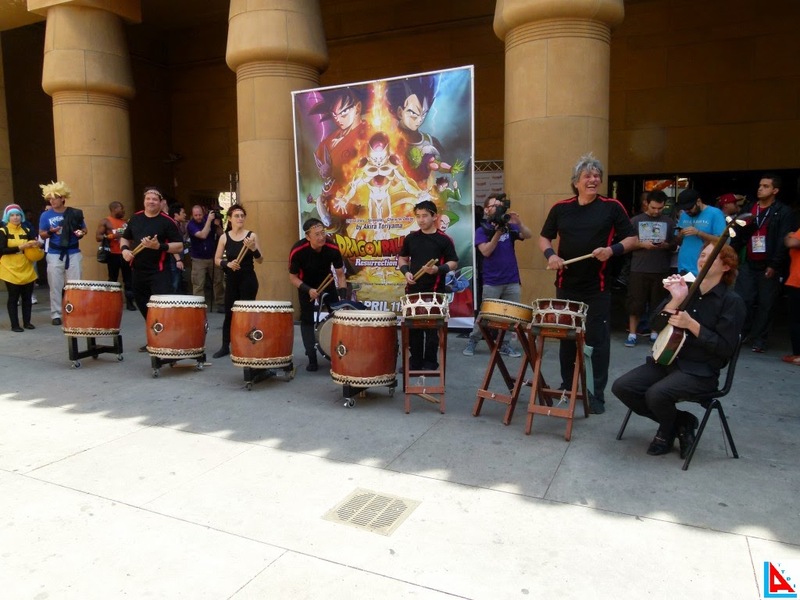 Fans were greeted by not only by a Taiko drum band outside, but a dance troupe. 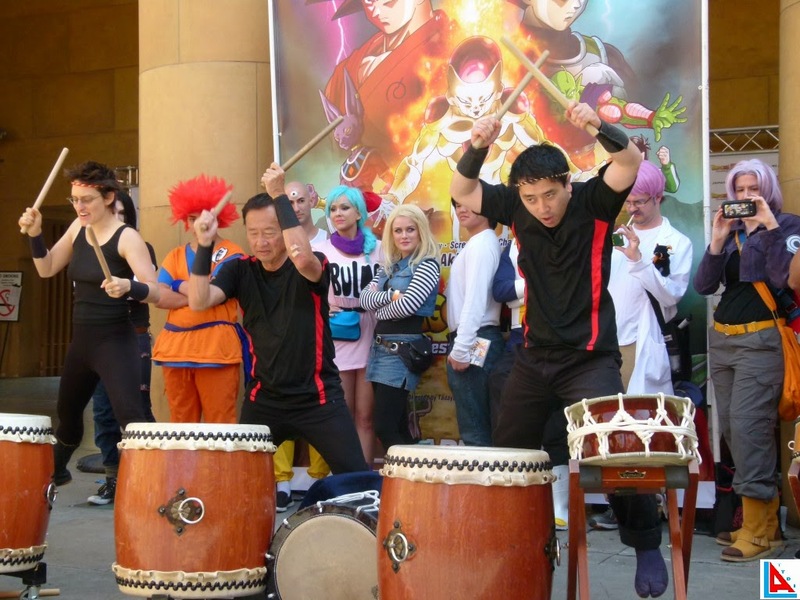 Dragon Ball fans watched or danced along, not pulling off the best martial art moves, but some noce dance moves. 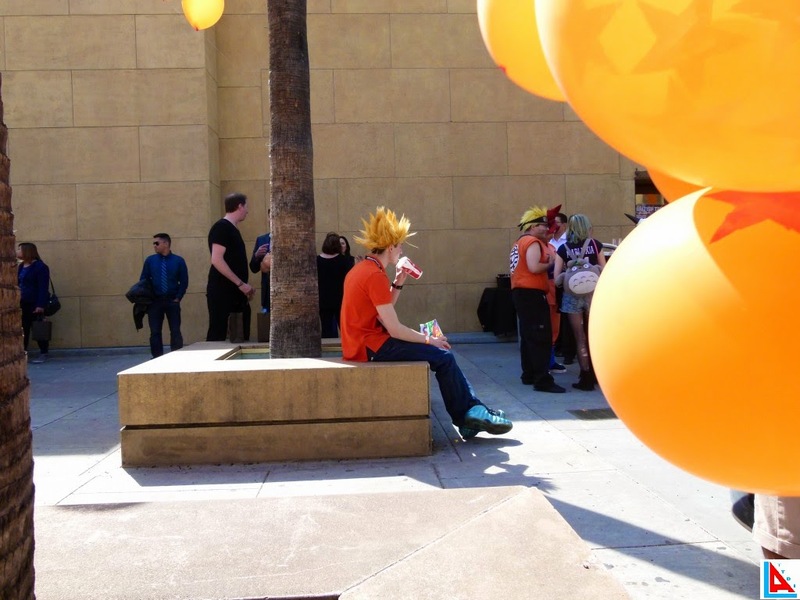 Free food was given out underneath orange balloons places outside when fans were outside. 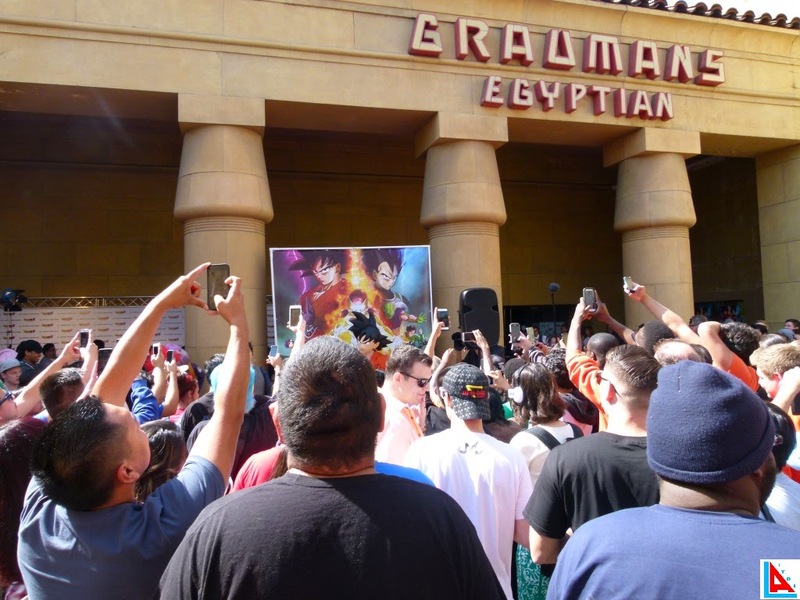 *The Egyptian's sound system may need to be checked if they do another anime premiere. 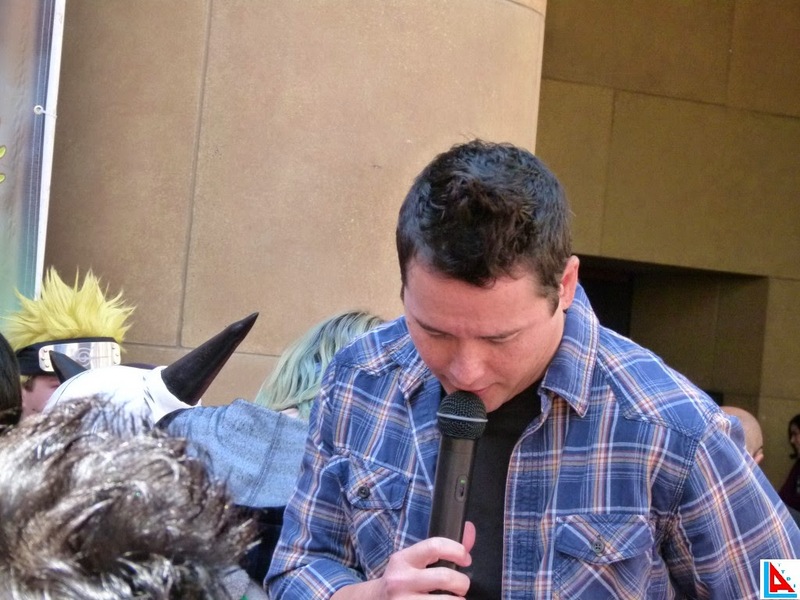 The mics failed the guests more than a few times.